Local swimmers have come in for high praise for their outstanding performance at home and in the OECS even as 2 train intensely to chase Olympic gold at the upcoming Rio Olympics. 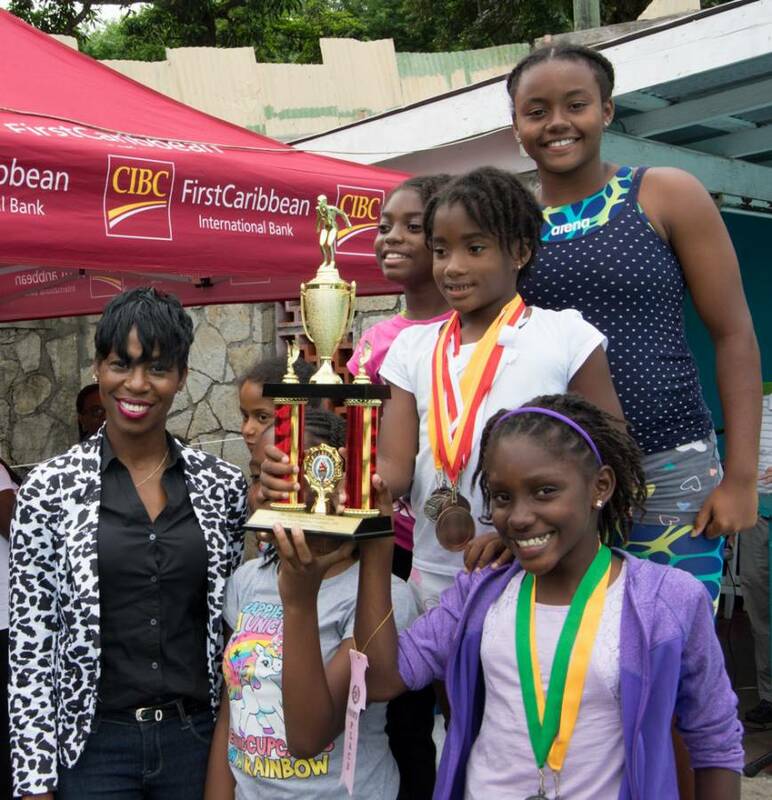 Country Manager of CIBC FirstCaribbean Nigel Ollivierre hailed those involved in the sport as he welcomed students from 20 schools across Grenada, who participated in the annual CIBC FirstCaribbean Inter-Primary School Swimming Competition, on Thursday, 2 June, held at the Good Hope Pool. 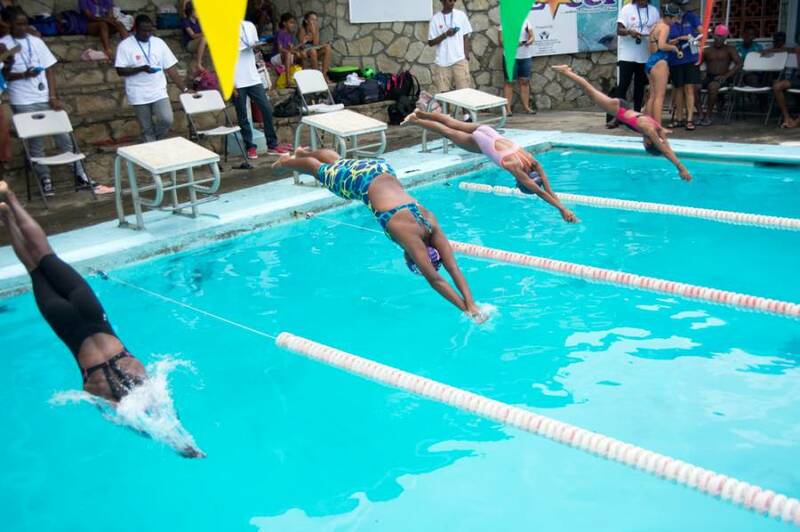 “Swimming is a growing sport in Grenada. Our team of swimmers is performing at the top of their class in the OECS Swim Meets and are the reigning victors of the OECS Swimming Championships. Additionally, 2 of our very own swimmers are currently training to qualify for the 2016 Olympic Games,” Mr Ollivierre further noted. 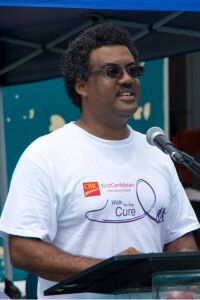 “CIBC FirstCaribbean has been title sponsor of the swim competition for 7 years. It is indeed a great pleasure to see the event grow each year. There are currently over 200 students participating in this competition including learners from the Ministry of Sport’s Swim Programme. Involvement in sports is key to the holistic development of students. I encourage the students to enjoy the two day event, give their best and display great levels of sportsmanship” he said. The 2-day event commenced with a display of the swim teams, followed immediately by the heats/qualifying races. At the close of the event on Friday 3 June, St Mary’s Junior School and Westmorland Junior School captured the overall championship titles in the girls and boys categories, with 205 and 229 points respectively. Gabrielle Hyson, of Westmorland Junior School was the top placing female swimmer with 41 points, closely followed by Shelby Neckles of Alpha Junior School also with 41 points and Meeka Ollivierre of St Mary’s Junior School in third place with 39 points. 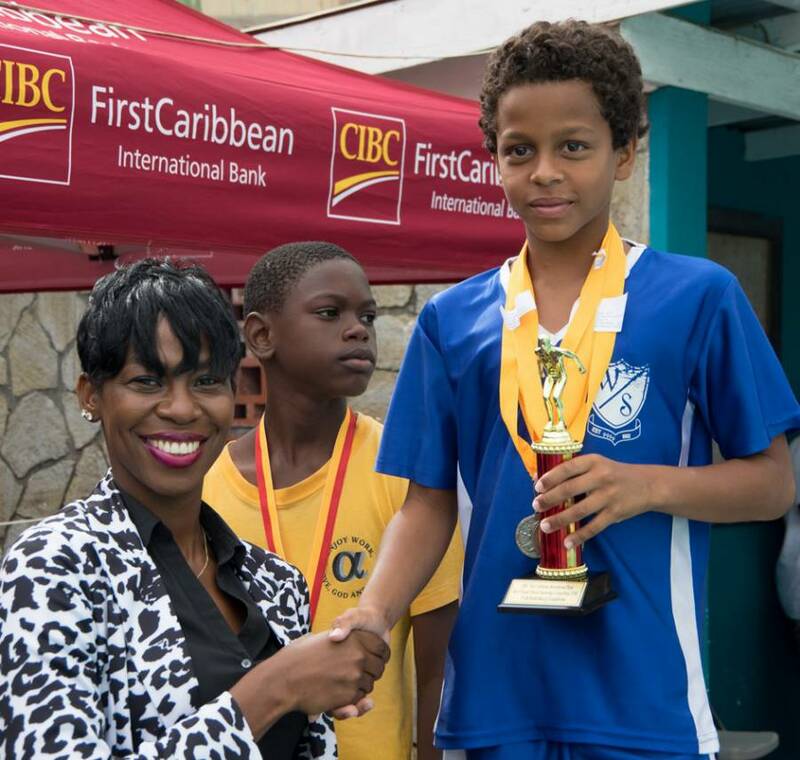 In the boys’ category, Zackary Gresham of Westmorland Junior School led the way to capture first place with a total of 53 points, Aidan McIntosh of St Mary’s Junior School placed second with 52 points, followed by Zac Holmes of the Grenada Montessori School, in third place with 40 points. Mr Ollivierre thanked officials from the Ministry of Sports for their dedication to and for coordinating this year’s swim meet which was a huge success.